Located within Hampden County, Massachusetts, the city of Agawam is nestled on the western side of the Connecticut River and contains a subsection called Feeding Hills. Agawam offers an exceptional school system. Over 90% of Agawam graduates continue their education with post graduate education or attend technical schools. Agawam was also named one of the top 100 safest cities, ranking number 54 on Neighborhood Scout’s 2015 list. Agawam offers great entertainment options, especially if you love the outdoors. Take a hike through Robinson Park or up Provin Mountain, the highest point in Agawam. Visit the brand new School Street Park, where there are plenty of sports fields, playgrounds and even a splash park in the summer months. Dine in one of the many restaurants and bars in Agawam, such as Kaptain Jimmy’s, Tomaso’s, E.B’s Restaurant, or The Federal, one of the area’s only fine dining restaurants. Our apartments in Agawam are also located just minutes from the brand new MGM casino in Springfield. Love to golf? Agawam has an abundance of golf courses. Catch an 18 hole round of golf at Oak Ridge, Agawam Municipal Golf Course, Crestview, or Saint Anne Country Club. Is par 3 or mini golf more your style? Check out Longhi’s Golf which is located on the border of Agawam and Southwick. But what Agawam is most known for is Six Flags New England, formerly known as Riverside Amusement Park. Six Flags New England offers over 45 rides in addition to an entire water park. Are you a coffee lover? Well, you are in luck, because Agawam houses 3 Dunkin Donuts locations, one of which is .2 miles from Country Manor, Aspen Square’s Agawam, MA apartment community. Aspen Square offers one and two bedroom apartments near Agawam, MA at Country Manor. 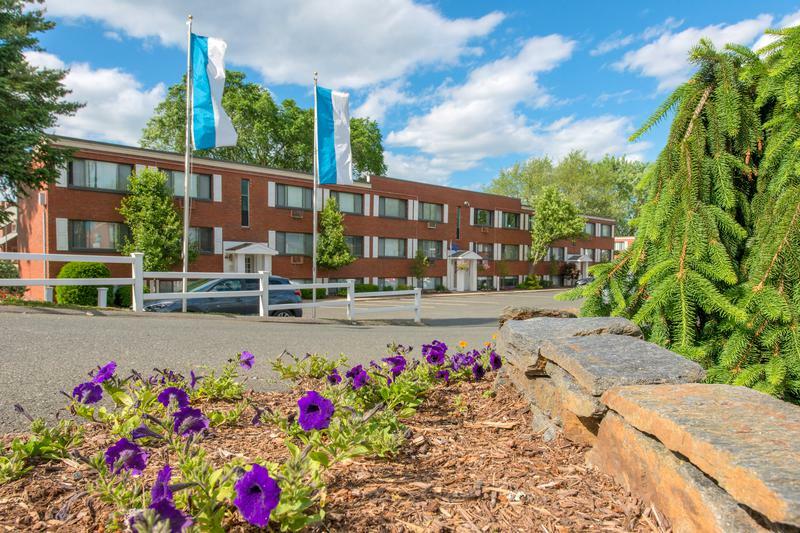 Located within the Feeding Hills subsection, Country Manor apartments for rent in Agawam, MA is centrally located near the center of Feeding Hills, just minutes from Route 57, 187, 75 and I-91. Just a short 10 minute drive will get you to the Mass Pike, which will lead you to any desired destination in Massachusetts. Agawam also borders Suffield, CT, and is just 20 minutes from Hartford, so you are only minutes from all of what Connecticut has to offer. Country Manor is also just a short drive away from many local universities and colleges, including Western New England University, Springfield College, American International College, Westfield State University, Bay Path University as well as Springfield Technical Community College and Holyoke Community College. Get your dog ready, because our apartments near Agawam, MA are pet-friendly, even for large breeds dogs. They’ll have a blast running around in our off-leash dog park with agility obstacles for them to try out! All apartments include updated, modern kitchens with white cabinetry, crown molding, granite-style countertops and stainless steel appliances. You’ll never have to leave the comfort of your home to do laundry with your own set of full-size washer and dryers. See what there is to love about Country Manor and schedule a tour today!